Merry Christmas everybody! Fancy Breakfast Friday is always a week behind so while you are reading this I am probably preparing the ultimate Fancy Breakfast Friday Christmas Breakfast. (Spoiler alert: I try to take it easy on Christmas morning.) But as Christmas approached, I had to dig out the Martha Stewart Gingerbread Waffle recipe. Its not to late to eat these this year, but be sure they are on the menu for next year for sure. 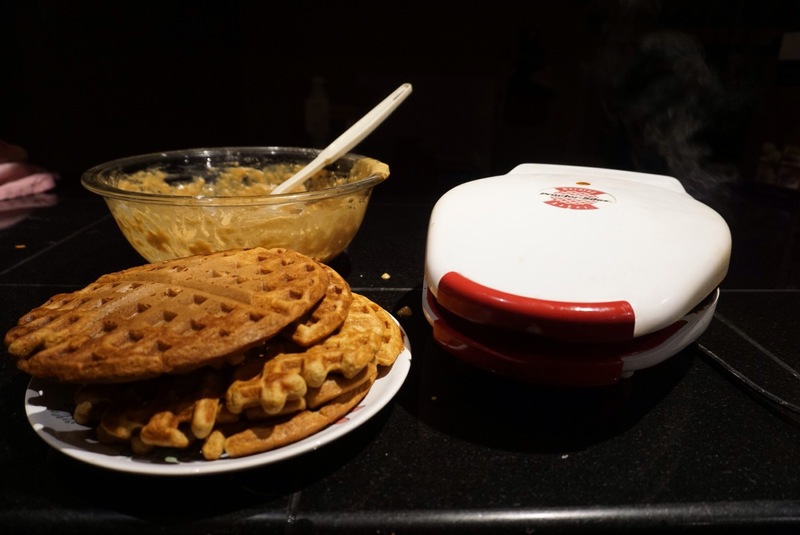 This entry was posted in food and tagged breakfast, waffles on December 25, 2015 by metamegan.